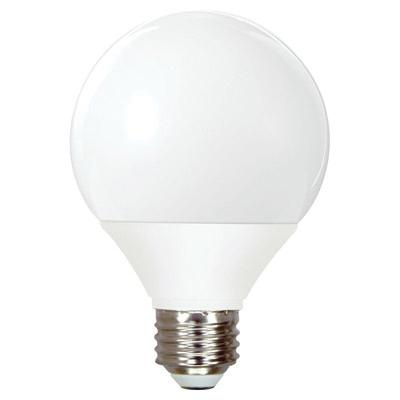 GE Lighting 15-Watt G25 E26 Medium screw-in base compact fluorescent lamp offers 825 initial Lumens and 660 mean Lumens for bright and crisp light output. It has efficacy of 55 LPW. This lamp has electronic self-ballast that regulates the current flow. It has color rendering index of 82. Lamp with 2700K color temperature rating radiates soft white light to the surrounding. This 4.59-Inch lamp comes with average life of 10000 hours. Lamp withstands temperature rating of 5 deg C. Lamp is UL/cUL listed.